I like the commercialism of Mother’s Day about as much as I like seeing July 4th items on sale at my local Target last week. For me, the idea of buying some cheap token for Mother’s Day celebrates everything superficial about the holiday and very little about the real substance of the day, which to me, is taking a moment to think about mothers everywhere. So against the sea of ads for jewelry and perfumes and, I wish this wasn’t true, weight-loss solutions, that are coming through my Facebook feed in “honor” of Mother’s Day, all I can think is how very little this matters to me, or I would guess any mom, when over 200 girls are missing in Nigeria. More than two weeks ago, militants stormed a residential school in Nigeria and abducted school girls, still missing, and most recently, the leader of the group that kidnapped them at gunpoint are threatening to sell these girls. I cannot even contemplate the horror, and I am completely removed from this situation. And while I know I cannot even fathom how these families are feeling right now, at least as part of the global community, we can give our voices to the demand to #BringBackOurGirls. This recent attack on the Nigerian school is not the first by militant organization Boko Haram (the name translates to “Western education is a sin”), which has targeted schools in the past, leaving 22 students dead in June in 2012, and 59 dead in an attack this past February. It’s beyond comprehension that these attacks continue, but they do. This Mother’s Day lets forget the contrived brunches and do something that really matters and #bringbackourgirls. Change your Facebook or Twitter Icon to this image from Girls Rising. 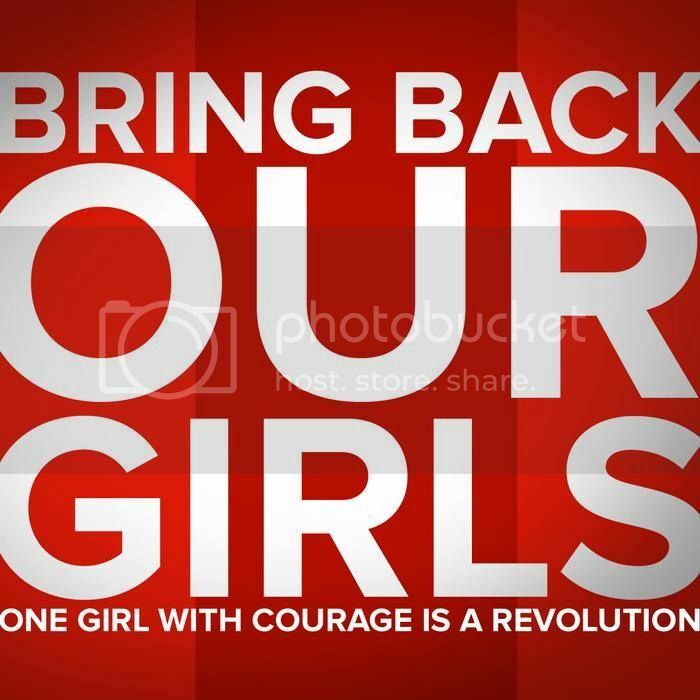 Like Bring Back Our Girls on Facebook to keep up with information, including protests being held around the world. Girls Rising and Amy Poehler’s Smart Girls held a Google Hangout at Noon on Tuesday, May 6, to share a conversation with prominent journalists and leaders in girls’ education. Those participating found out direct and factual information about the situation in Nigeria and what they can do to help, including an “action pack” of tools to make a difference. Tweet with the hashtag #BringBackOurGirls. Share this post or a similar one on Facebook and, if you have one, your blog. Read other blogs, like this one from former Montclair resident Nicole Blades at Ms. Mary Mack. The information age we live in is amazing because it means we can make a difference no matter whoever, and wherever, we are. And social media makes it possible that even small voices can put pressure on world leaders and make a difference when joined with others. Let’s make sure they are and #bringbackourgirls. Thank you to Barista Kids, This Unique* Weblog, Ms. Mary Mack and Other than Lovie for posting as well. If you wrote a post, please add your link in the comments below so we can add it to the list of voices demanding to #BringBackOurGirls.